To live in Spain continues to be one of those romanticized ideas and sought-after dreams. And for good reason. Living in Spain can be great. This country is steeped in rich culture and traditions that have become iconic around the world. 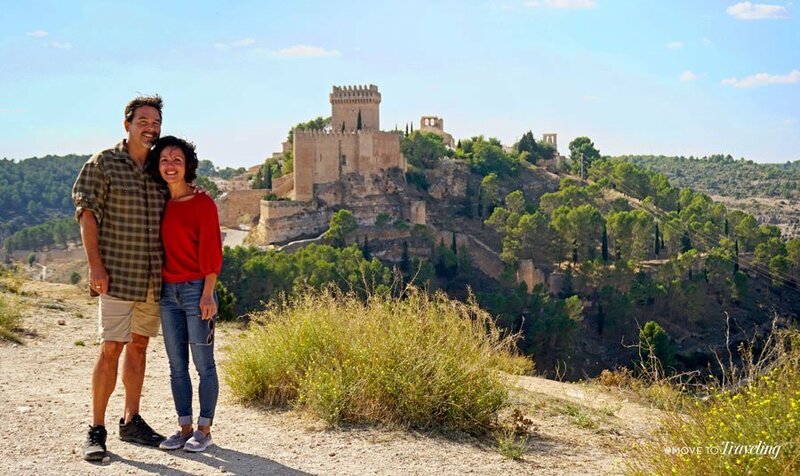 More and more people, and we’ve noticed even more Americans, are setting out to make Spain their home. After living here for almost four years, we’re still finding things that we love about Spanish life. 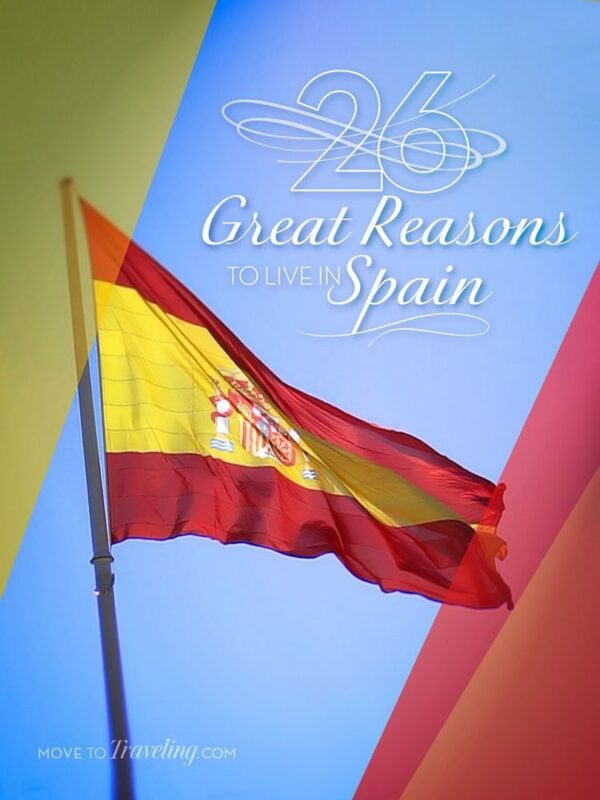 If you’re thinking about moving to another country, here are 26 great reasons why to live in Spain. Above Image – The northern coast of Asturias. Like a pirate’s treasure chest, Spain has such a diverse array of terrain. There’s everything from lush, green mountains to arid plains, flat marsh lands to snowcapped peaks, and sandy beaches to dramatic seaside cliffs. Heck, you’ve even got still active volcanoes in the Canary Islands. Above Image – Look at that blue sky in Altea. Along with that diverse terrain comes varying weather. Take your pick! You can go further south into classic Andalucia for the renown heat and warmer winters. Or enjoy the changing of seasons and winter snow in Asturias, Spain’s green paradise in the north. The country as a whole has three different climate zones and is characterized by a mediterranean climate, an intercontinental climate, a maritime climate, and around Murcia an almost African climate. 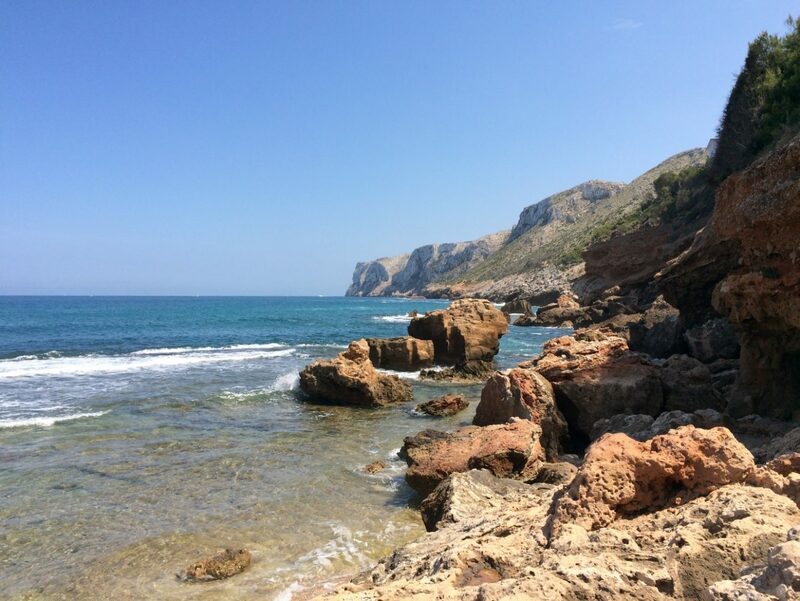 But what’s most important for you to know, is that there’s typically a lot of sunshine along the Costa Blanca and Costa del Sol, with an average of 300 days of sunshine a year in this part of the country! 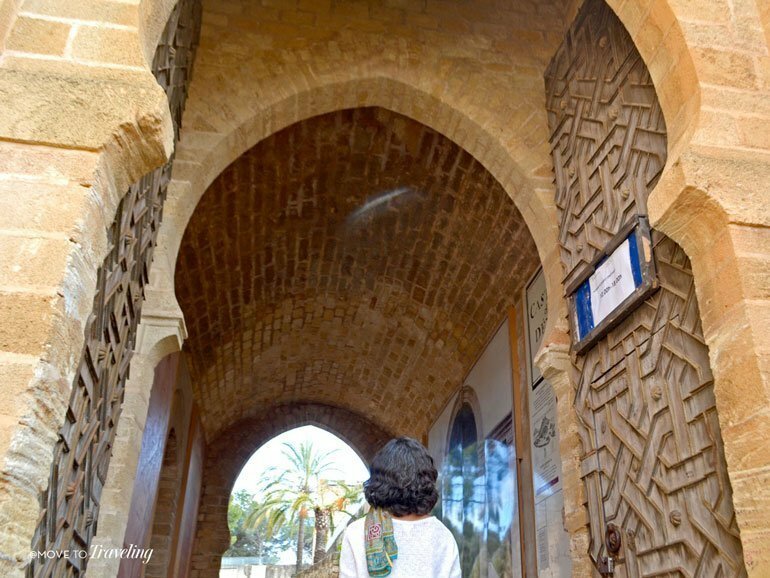 Above Image – Entering the Castle of Denia. You really can’t have one without the other, can you? For thousands of years, Spain has had civilization after civilization living here. From the pre-Roman, Celtic and Iberian cultures to the Romans, Phoenicians, Carthaginians, Greeks, and Moors, their influence has made Spain what it is today. The country is just so old! Us Americans love it, probably because the US is such a baby still. Everywhere you go in Spain, you’re not only in the presence of history, you’re living among it. 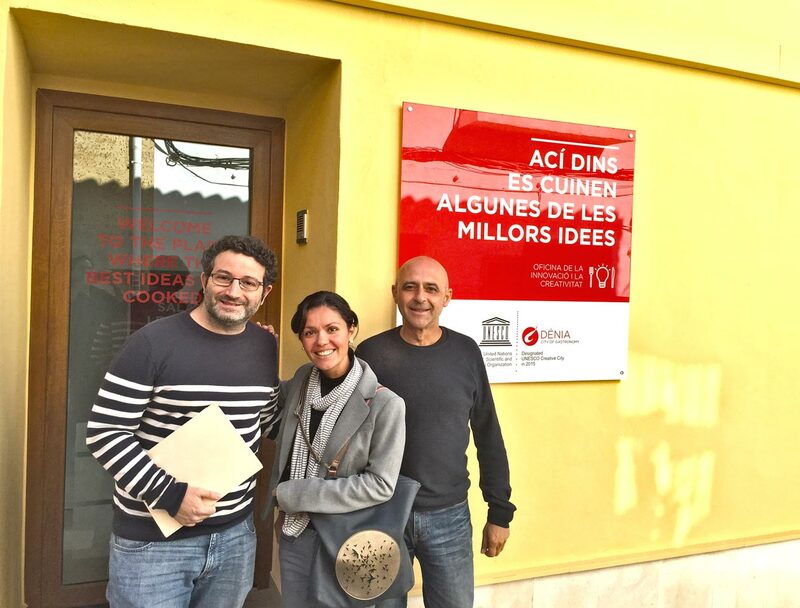 Above Image – With locals at Denia’s Office of Innovation and Creativity. Spanish people are welcoming. Maybe not every single one of them, but as a whole, Spaniards are helpful, hospitable and open. They’re also curious and like to share their culture with others. In every part of Spain that we’ve visited, we’ve been impressed with how nice the Spaniards are. We’ve even been given fresh fruit from an old lady’s garden when walking through the countryside of Extremadura. And now living in Denia, we continue to notice and appreciate how the local Spaniards here welcome us into their community. We can’t overlook as well, the international community. Our fellow expats our also welcoming and friendly, and it’s easy to make new friends and share a common bond of living abroad. 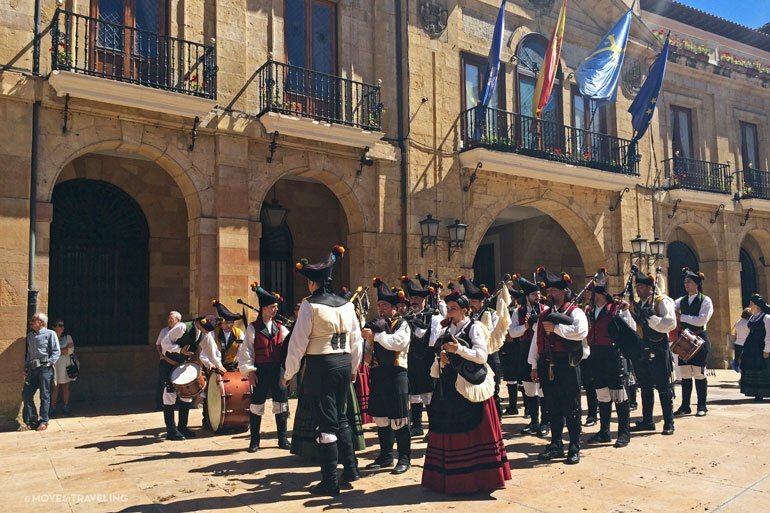 Above Image – In Oviedo, the local folk music and garb of Asturias. Who doesn’t love diversity? It’s one of the biggest misconceptions about Spain, that all the regions are the same. They each have their own distinct gastronomy, terrain and culture, which makes getting to know Spain even more enriching. Along with the Basque Country and Catalunya having their own language, so does the region of Valencia. Even the northern regions of Asturias and Galicia have their own ancient languages, and in Extremadura they drop letters and shorten their words. Then you have different traditions, like Fallas throughout the Valencia region and the Romerías in Andalucia. For what looks like a little country, they have a wealth of cultures. 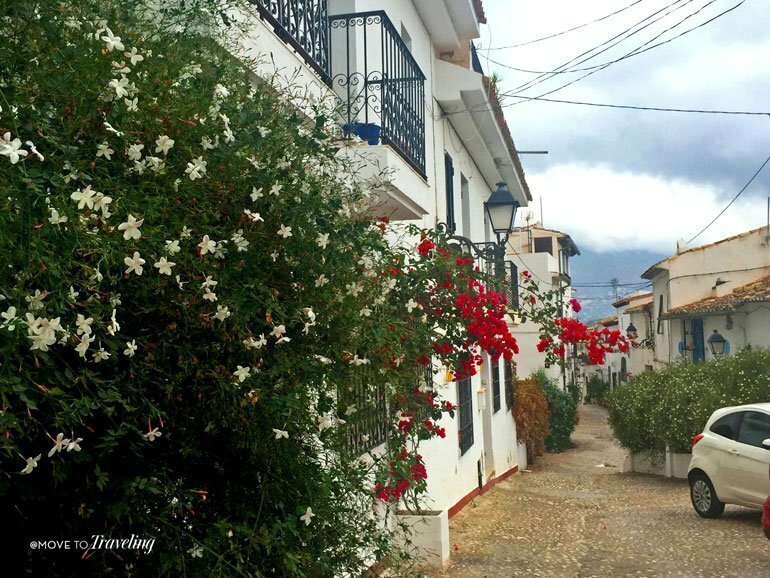 Above Image – One of the flower-strewn, narrow streets of charming Altea. Wondering if those picturesque scenes of Spain on Instagram appear as often in real life? Even more so! The brightly-colored trellising flowers over old stone and wrought iron window frames grow in practically every little village, beachside town and even in the busy narrow streets of metropolitan cities. In many places, streets are still made of cobblestones and too narrow to drive down (unless you’re from around here). You can find yourself serenaded on your terrace by a neighbor playing classical guitar or dazzled by a warm, golden sunset lighting up the ringing church bell towers that dot a city-scape. Or land your gaze on the smooth surface of brightly hand painted Spanish tiles and earth-red Spanish tiled roofs. Being in Spain, the charm and romance will find you. Being part of the EU is great, at least in our opinion. It makes it more enjoyable and easy to travel between most of the different countries that are part of the Schengen Area. There are also more economic opportunities between the shared countries and programs that offer more support to governments, organizations, and projects done within those countries. Overall, we feel that it can continue to be an example of the benefits of being united rather than seeking to separate and be divisive. Spain has a great public health care system and is considered one of the best in the world. Even if you’re paying out of pocket, it is still so much more affordable than even the most basic health care services in the US. Spanish public health care is available to all residents for free and the quality and level of service and care is wonderful. Private health insurance may be needed for certain circumstances, but even more advanced cases of medical needs tend to be far less expensive in Spain than in most other parts of the world. 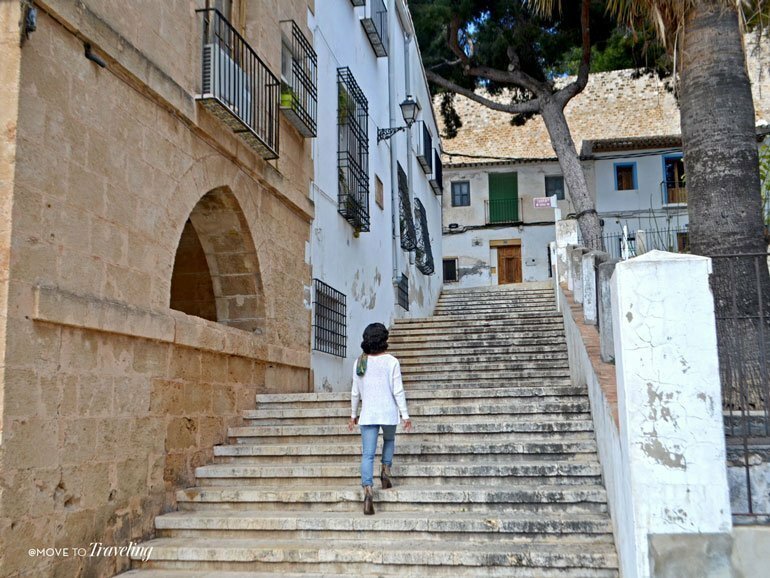 Above Image – Strolling around Denia. Did you know that as of 2019 Spain is the healthiest country in the world? Thanks to the great public health care we just mentioned, as well as other factors like the environment and lifestyle, Spain truly is the place to live healthy. But really, all studies aside, many people in Spain walk more, and on a daily average. We certainly have noticed and love this change in our lifestyle since living here, and so do our fellow expat friends. Here, it’s more normal to walk to the grocery store, get fresh local produce at the weekly market, and easily afford and access natural foods that aren’t filled with GMO’s. The pace of life is also more relaxed (you’ve heard of siestas right? ), and personal and family time is prioritized over work time. 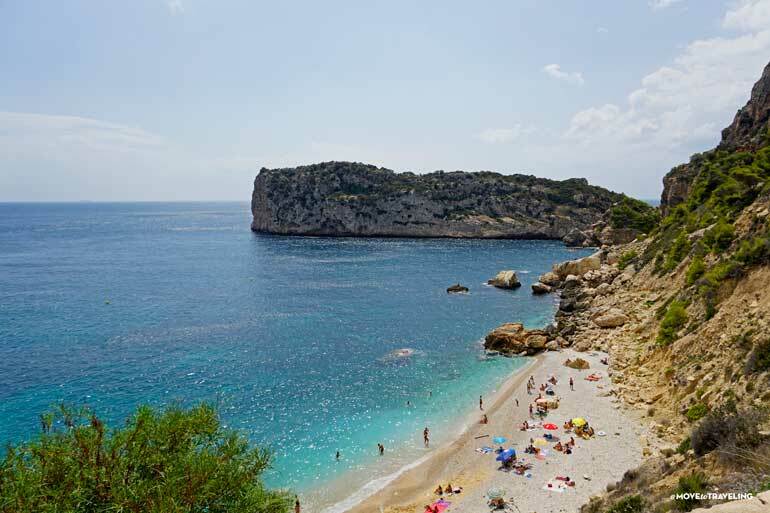 Above Image – Well, not one of the islands, but the very pretty beach of Ambolo near Javea. It’s easy to think of just mainland Spain, but the country also has quite a few major islands. There’s the exotic Canary Islands, with seven main islands and numerous smaller islands and islets. Then in the Mediterranean are the Balearic Islands, with the four largest being Mallorca, Menorca, Ibiza and Formentera. These are especially popular to visit by ferry, which you can take with Baleária from where we live in Denia. If you love islands (who doesn’t really! ), you can go nuts getting to visit all these gorgeous destinations. Or even decide it’s where you live in Spain. Above Image – At the very end of our favorite beach, Las Rotas in Denia. Whether on the north or south coast, Spain has what seems like endlessly beautiful coastline. It’s also home to the traditional fishing villages that are just as much a part of the scene and experience. There’s the Mediterranean Coast that stretches from Barcelona down to the Atlantic waters of Cadiz. 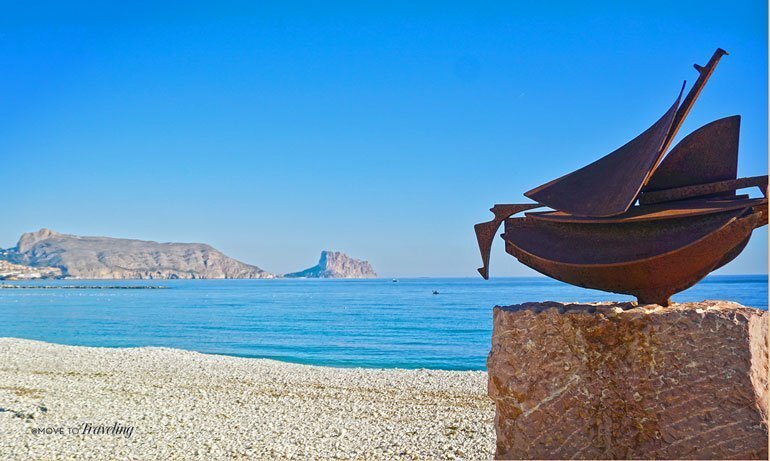 In some places, like Denia, you can have the best of both worlds with iconic mediterranean rocky coves and sandy beaches. Then not far down the road are impressive, sheer cliffs that plunge into the turquoise waters. 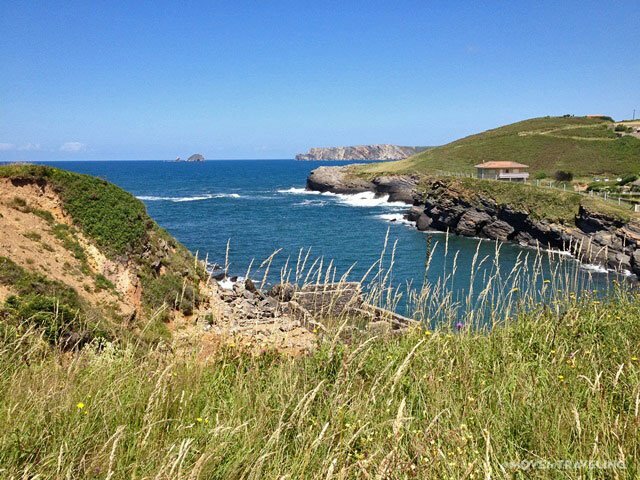 Along the northern coast, the forested mountains come right down into the icy waters of the Bay of Biscay, creating their own dramatic shoreline of cliffs and secret little bays of sandy beaches. Whatever coastline you find yourself on, it will be stunningly gorgeous. 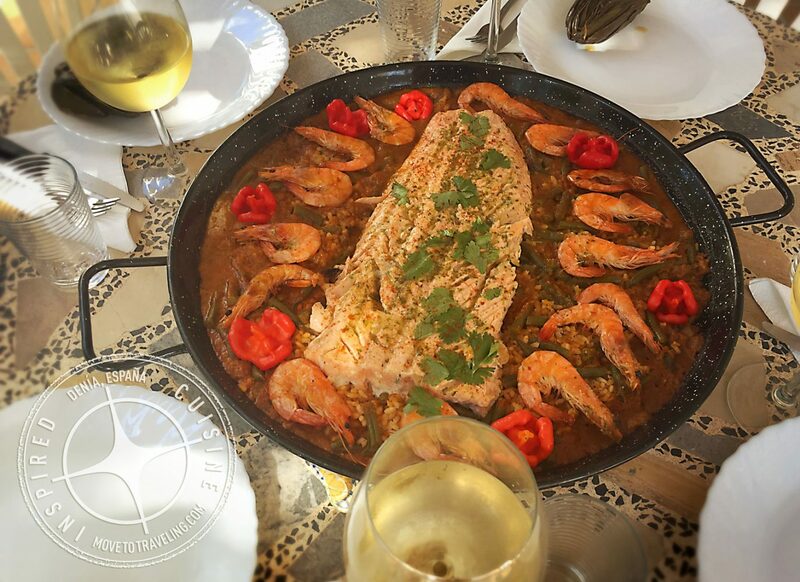 Above Image – Enjoy our Recipe for Seafood Paella with Salmon. We watched on the recent Final Table show the other night, that the national dish of Spain that was chosen for them to cook was paella. So yes, of course paella is one of those delicious foods of Spain, but there’s also many more. You’ve got the stew-like dish of Fabada Asturian in Asturias, the Puchero in Valencia, rabo de toro in Seville and throughout Andalucia, and of course, the prized Jamon Iberico. Anything ‘jamon’ in general is one of the staples of Spanish cuisine. Add to that the delectable cheeses, fresh vegetables and indulgent pastries, and it’s no wonder why Spanish cuisine is loved. 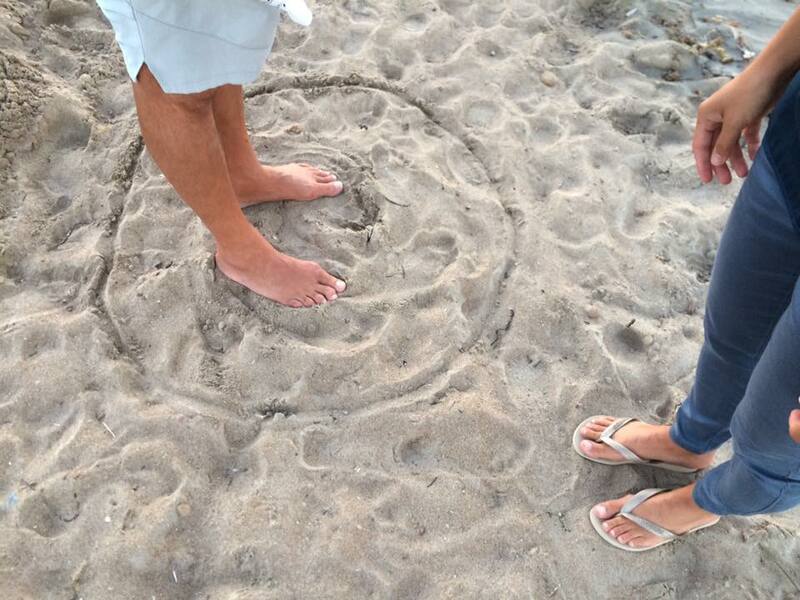 Above Image – On the Las Marinas Beach in Denia. 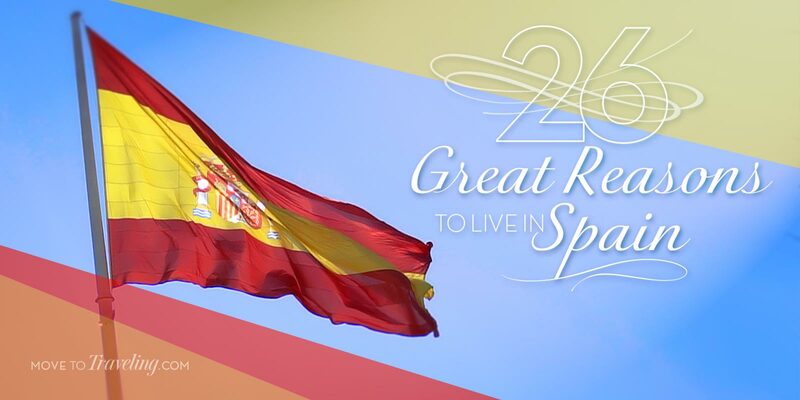 This is heard all the time among our expat friends and the local Spaniards – la calidad de vida en España es buena (the quality of life in Spain is good). A big part of this is what we’ve already mentioned, the public health care system and delicious food, but it’s also that these things are provided at a great quality yet for a very affordable cost. And by affordable cost, we mean down-right low cost. Housing costs, utilities, and groceries are cheaper here. Yes, there are parts of Spain where the cost of living can be expensive, like the cities of Madrid and Barcelona. But overall, your money can go further and for better quality here. 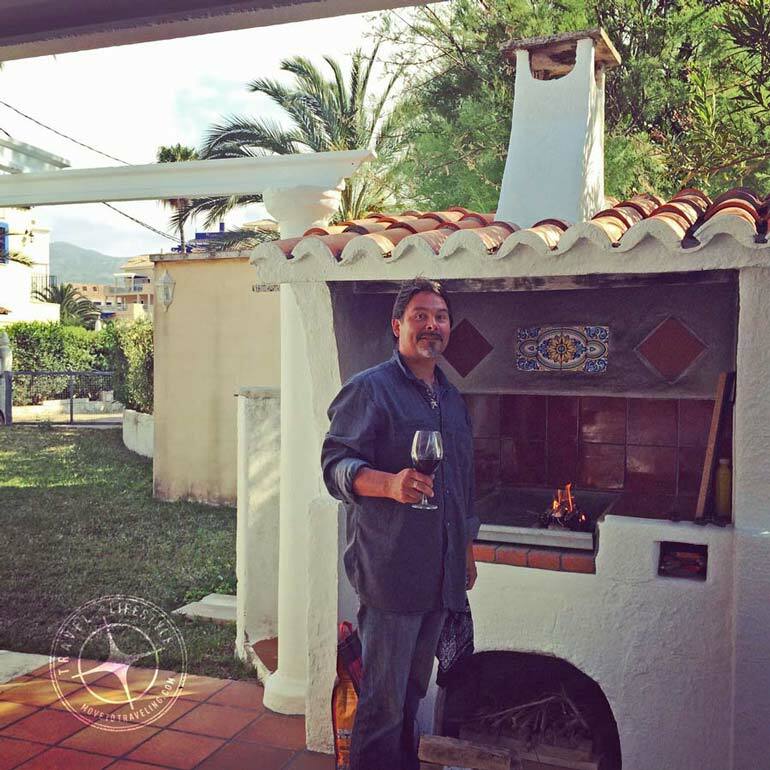 Above Image – Our first home in Denia had a traditional ‘barbecoa’. Ah, the culture of mañana, mañana… Yeah, sometimes it may mean that something doesn’t get done as quick as you’d like, but even that has improved since we’ve moved to Spain. Things still get done, yet the pace of life here is more relaxed. There’s less stress and people still take their afternoon siestas after lunch. Even in major cities, things don’t get going until nine in the morning, rather than a crazy hour like six or seven. 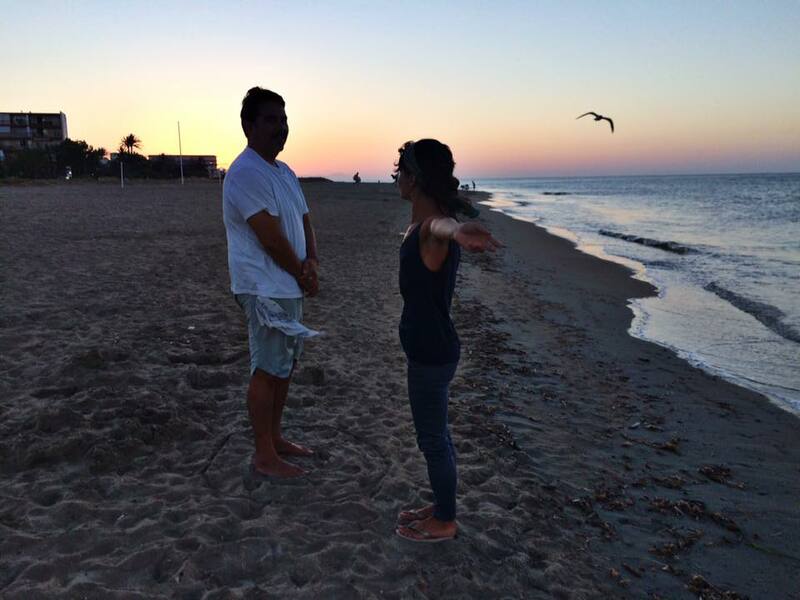 It may be an adjustment at first, but then trust us, you come to love and appreciate it. Next thing you know, and you’re the ones being late to everything. Above Image – A traditional puchero Valenciano at Tasca Eulalia in Denia. The Spaniards know how to do lunch! It’s their most important meal of the day (move aside breakfast). And lunch is the biggest meal of the day. When you’re not making it at home, you can go nuts with the beloved menú del día that practically every restaurant, bar and cafe offer daily. 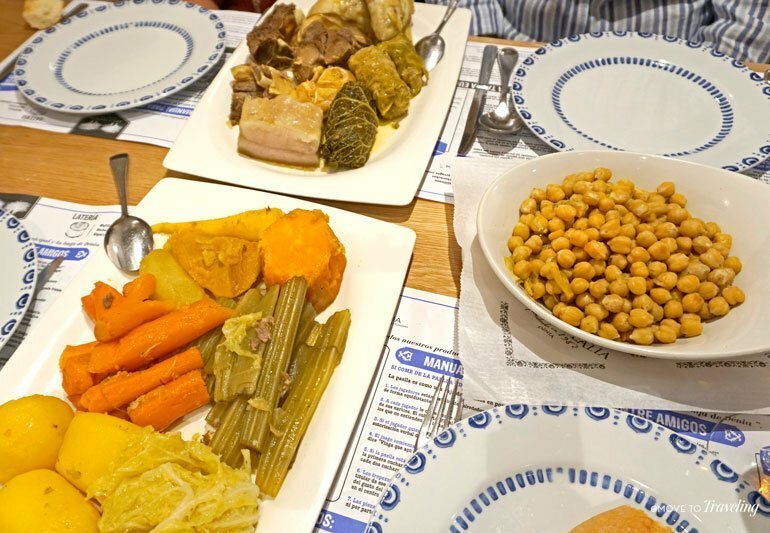 This typically three-course meal can be from as cheap as 8€ (usually in some very small, remote villages), to up to 20€ at nice places in the cities. And most times that includes wine! But on average, you can get a great menú del día for between 10€ and 15€. It really is great. Above Image – The fantastic ‘Ruta de la Tapa’ which takes place in Denia twice a year. What would Spain be without tapas? Well, it definitely is unimaginable. Fortunately, tapas are at the heart of Spain’s gastronomy. It’s a culture unto itself. 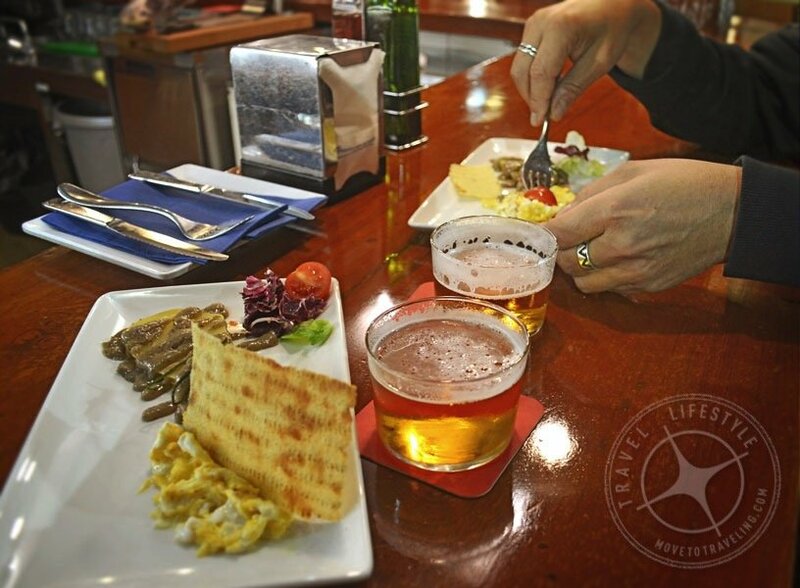 Spaniards are much more likely to socialize over tapas and meeting at the local tapas bar, than to have you over to their home. It’s a major aspect of social interaction in Spain. More importantly, it’s an awesome way to eat. By having small plates and small bites of food, you can share and taste more variety of things. And it’s wonderfully cheap. Still alive and well in most of Spain, is the tradition of getting a free tapa with any alcoholic drink you order. They know how to keep you coming back for more! Above Image – A local wine in Trujillo, in the region of Extremadura. 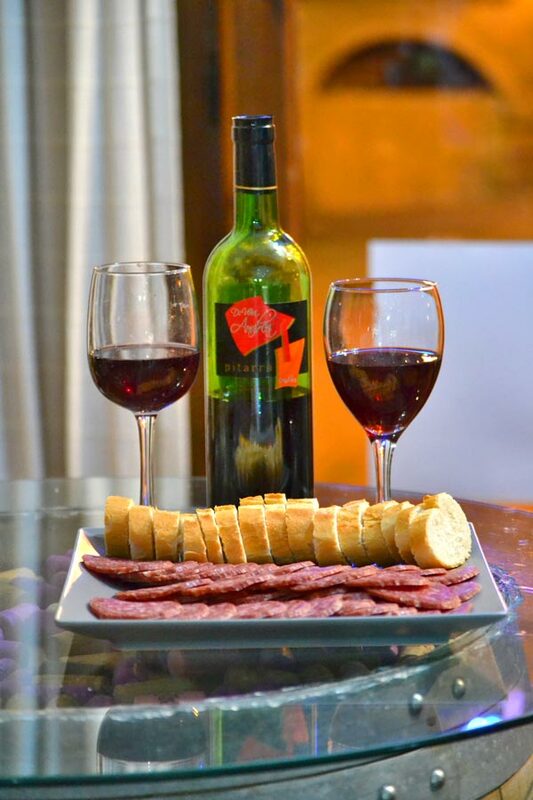 Speaking of drinks, there’s no better place to enjoy Spanish wine than in Spain. It’s so inexpensive here compared to the rest of the world. And it’s so so good. Your typical copa de vino tinto (glass of red wine) will only cost you between 2€ and 3€ (even cheaper in the smaller villages). While some house wines may not be the best, there are plenty that are actually really good. Or ask them for a Ribera del Duero or Rioja to be specific, and it’ll maybe be a Euro more. Buying Spanish wines in the grocery store is like being a kid in a candy store. Once living here, you find yourself saying, ‘Oh honey, let’s splurge and get a 6€ bottle of wine for dinner tonight’… seriously, it comes to that. The wines are so good, even at prices under 5€. Above Image – ‘Vermút blanco’ and ‘vermút rojo’, white and red vermouths, at Restaurante Miguel Juan in Denia. 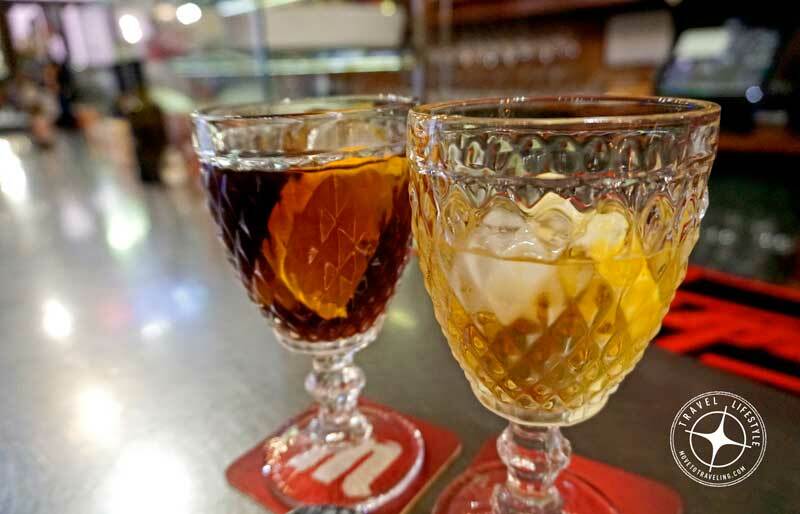 Discover a new drink and its distinctly Spanish culture, when you experience Spanish vermouth. It’s a part of the tapas culture that is experiencing a fantastic reemergence from its original years in the 19th century. It’s the epitome of the aperitif and is made of natural herbs that are a digestive, great for having before a big meal. You can get it in red or white, similar to wine, but make sure to get a Spanish artisan brand, homemade or on tap. And whatever you don’t, do not get Martini. That’s not Spanish vermouth. Above Image – One of the fallas of the amazing Fallas Festival in Valencia. There’s holidays in Spain practically every quarter. At least that’s what it seems like. And this means a lot of holidays and time off. It’s great, because there’s always something festive and exciting going on. Easter is a big holiday, with Semana Santa lasting a full week, along with some additional days off either before or after. 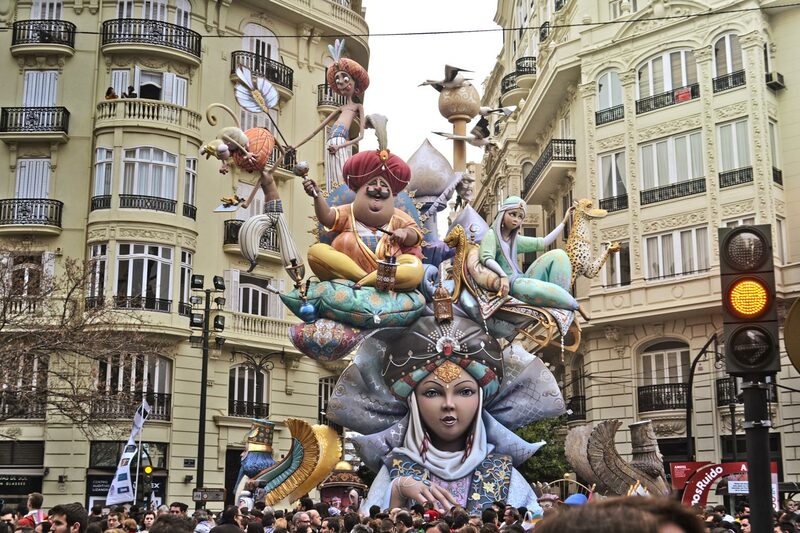 Valencia has their Fallas Festival, which has daily events taking place for three weeks and then the main event from March 15th – 19th. But most of all, is the renown European vacation time of August. This month is when most Spaniards, and Europeans for that matter, have two to even four weeks off. Talk about life-work balance. Above Image – The incredible fire run of Correfoc in Denia. With all these holidays, it makes sense that the Spaniards know how to party. But we’re not talking about how certain foreigners choose to party when they come to Spain. It’s far from that. 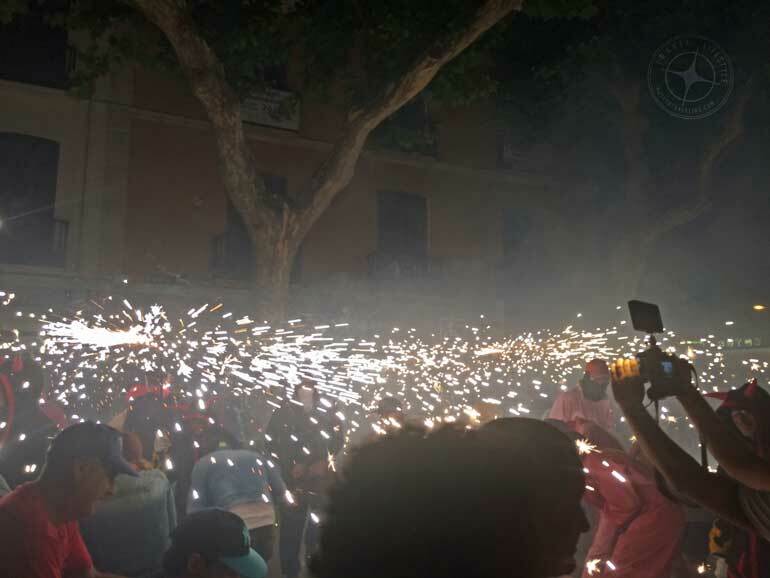 We’ve noticed that the Spaniards get loud (they love their fireworks) and stay up late, but rarely do they get drunk or destroy streets and cars or other things. They’re pretty classy. 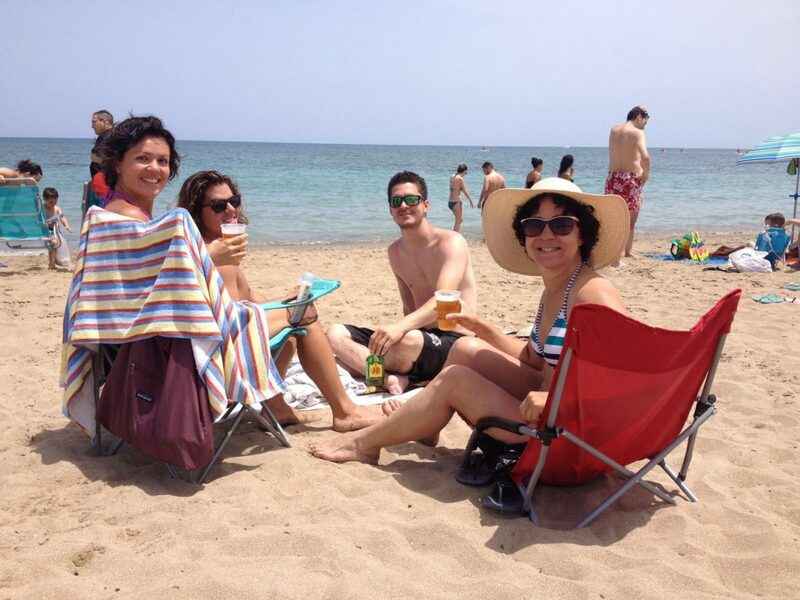 So, living in Spain will show you a way of partying that is very family and community focused. It makes for a great time. Above Image – In the tiny village of Higuera la Real in Extremadura. Spain has so much countryside, especially in regions like Extremadura. These rural areas are some of the most magical to visit, or to choose as where you live in Spain. There’s incredible castles, charming villages, and old ways of life still exist. 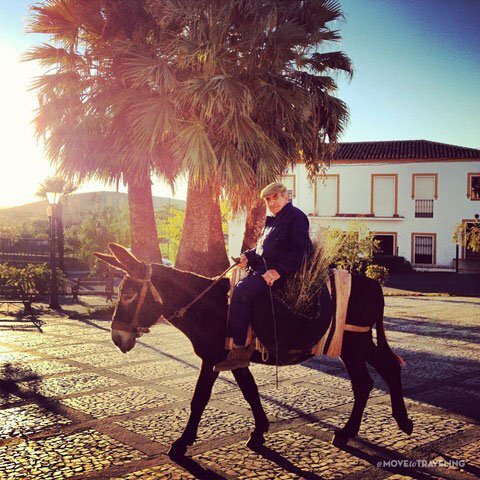 In these areas is where you can encounter a shepherd herding his sheep, old men driving their donkey-drawn carts, and horses being ridden into a town’s main square. If you love nature, you’ll have so many areas to explore and hike. And if you’re looking for a place to have land, tranquility, or to be more remote, there are plenty of great places you can find in the countryside of Spain. 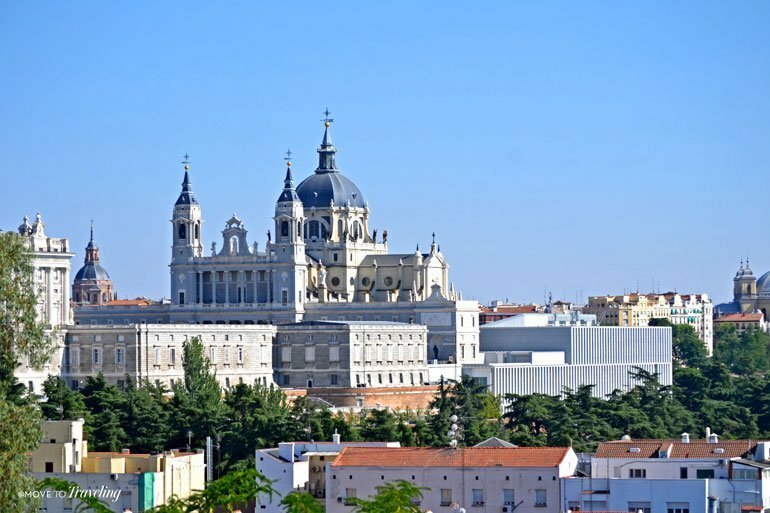 Above Image – The Royal Palace of Madrid and its neighboring basilica. 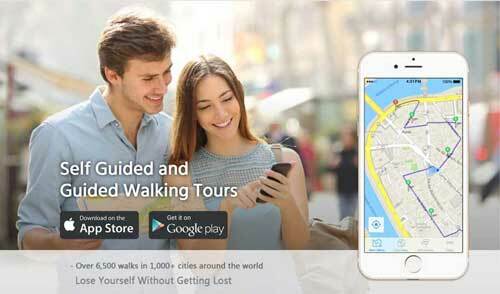 If you’re a city person, you’ll love the metropolitan cities of Madrid and Barcelona. These iconic destinations are truly as wonderful to live in as they are to visit. Yet there’s even more great cities in Spain that you can enjoy and even consider as home. Valencia is our favorite city, being right on the Mediterranean, having an international airport, and a gorgeous historical center and modern architecture. Then there’s also Seville, Malaga, and Alicante, just to name a few others that can give you that metropolitan vibe, Spanish style. 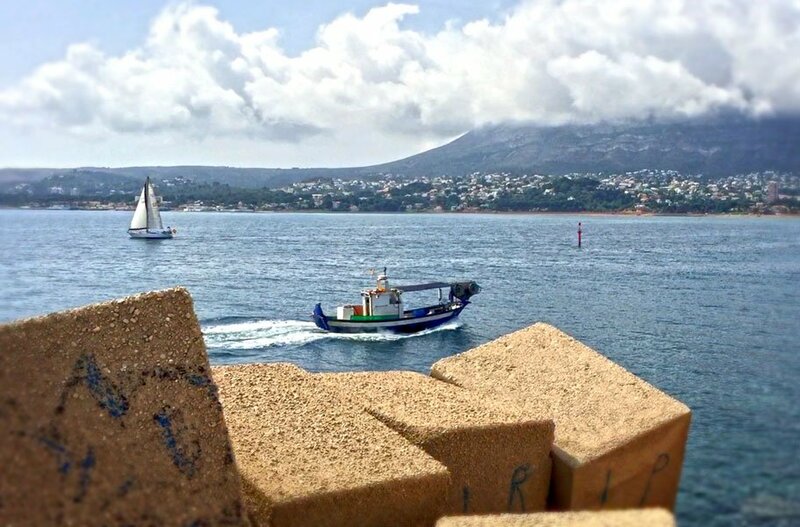 Above Image – A view of the mountain El Montgo from the Marina of Denia. We couldn’t leave off of our list the enchanting Mediterranean Sea. It’s what draws many of us to Spain, and keeps us here. This epicenter of civilizations for centuries past still brings so much to this part of the world. It’s influence on the cuisine and diet, the weather and terrain, is known worldwide as one of the most iconic and loved characteristics of Spain. It also provides a fantastic way of traveling around this part of the world, whether sailing, taking a cruise or ferry to another part of the Mediterranean. There really is nothing like living on this sea. Above Image – One of our road-trip stops, the medieval village and castle of Alarcón. Spain is just right. Not too big and not too small, it’s great for road-tripping and you can make it from the Mediterranean Coast to the North Coast in one day. Yet, that’s really pushing it, and missing all the great things to see along the way. You can also travel by train, one of our favorite ways to travel. And of course, you can easily and quickly fly to really cover more distance in less time. Either way, there’s so much to explore and discover throughout the country, and the journey itself tends to be the best part of it. 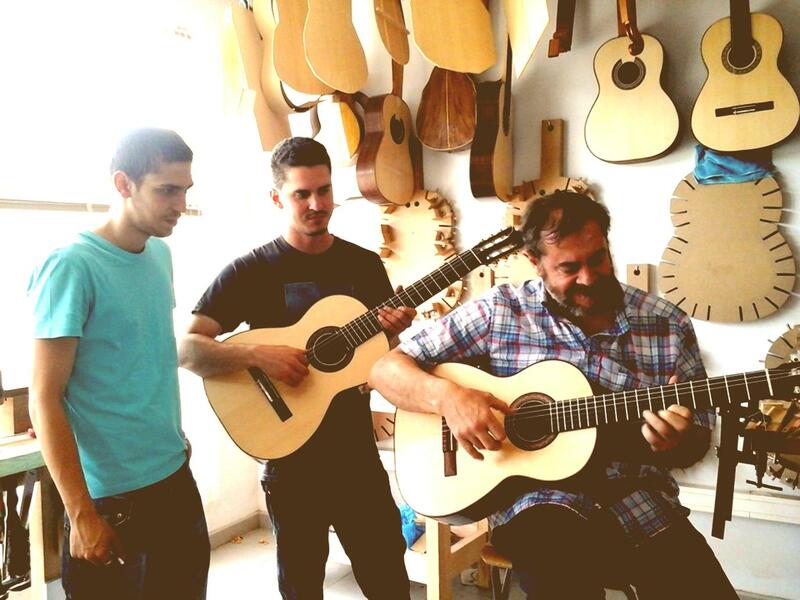 Above Image – Amalia’s brother (center) studied Spanish guitar making in Zaragoza. One word for you – Flamenco. Admit it, when imagining Spain, you probably hear Flamenco music in the background. When living in Spain, you’ll have plenty of Flamenco shows that you can go to, and many which are more authentic, yet you’ll also get to hear it as go among your every day life. Even the other day, we were picnicking at our nearby Las Rotas beach, and could hear Flamenco guitar and singing coming from a local home. And if it’s not Flamenco music, it’s the touching stanzas of classical guitar. But these are not the only traditional music you’ll enjoy. Each region has their own folk music. What is most common though, are the local bands that accompany neighborhood groups and parade around playing music in the streets. This usually entails contemporary songs and instruments. For example, in Valencia the casals (neighborhood groups) each have a band that play and parade around town during Fallas. Above Image – The main cathedral in Oviedo, the capital of Asturias. 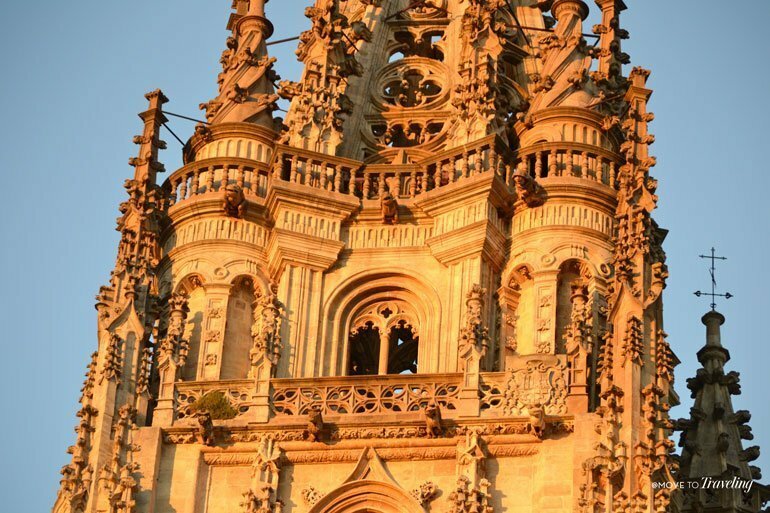 Everywhere you go in Spain, there is amazing historical architecture. Castles seem to be everywhere and don’t be surprised if you find your village has one of its own. You can even find beautiful old places to live that have been wonderfully renovated with modern comforts and style. There’s just something about such old, ancient buildings still being actively used and in the midst of modern-day neighboring buildings… it really adds a new element to what you enjoy seeing as you’re out and about when living in Spain. There’s also the modern architecture as well, like the City of Arts and Sciences in Valencia. Spanish life is not just about the old, but also embracing the new. To live in Spain is not only possible, it really is wonderful. As our world is becoming more connected with technology, the opportunities to live in another country are becoming more appealing. 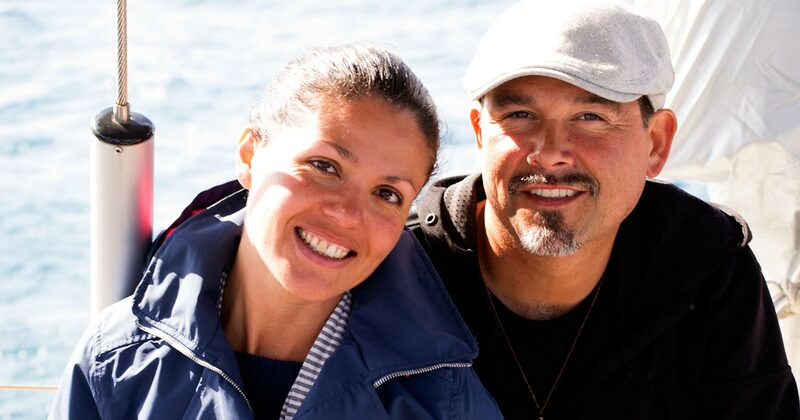 People like you and us are seeking out an international lifestyle that enhances our lives with more travel and quality of life. We’re so happy that we’ve made Spain our home base. Whether or not it is for you, is up to you. What reasons to live in Spain tug most on your heart strings? Are there any reasons of your own that you would add to the list? Let us know in the comments below!